Robin Duncan Harry Williamson was born in 1943, in Edinburgh. He grew up in the Portobello area of Edinburgh, and attended George Watson's College before leaving at the age of 15 to become a professional musician. At first he performed in local jazz bands, with Gerard Dott and others. By 1961 he had met and begun sharing a flat with Bert Jansch and in 1963 travelled together to London to play the metropolitan folk circuit. By 1965 he had returned to Edinburgh and formed a duo with Clive Palmer (banjo). They played fiddle and banjo arrangements of traditional Scots and Irish songs as well as bluegrass. 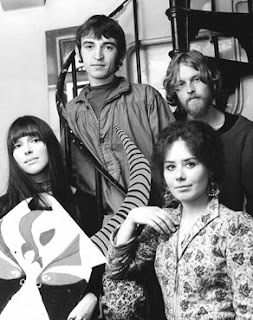 Mike Heron (former member of the Saracens) joined them in 1966 and they signed to Elektra Records calling themselves The Incredible String Band. Their first album The Incredible String Band was released in Britain and the United States and consisted mostly of self-penned material in solo, duo and trio formats, showcasing their playing on a variety of instruments. Despite meeting critical acclaim Clive Palmer and band’s producer Joe Boyd left the band to travel to India and Afghanistan. On his return, Palmer decided not to re-join the ISB, instead he recorded a solo album of banjo music called Banjoland which remained unreleased until 2005. In effect ISB had disbanded and Williamson travelled to Morocco and became influenced by Moroccan music. Heron stayed in Edinburgh, playing with a band called Rock Bottom and the Deadbeats. A year later when Williamson returned the duo reformed and played with other musicians including Licorice McKechnie. Their music was now a fusion of folk, mysticism and acoustic psychedelica. The addition of oud, gimbri and tamboura give their music a unique sound and the band released their second album, The 5000 Spirits or the Layers of the Onion. The album went to Number One in the UK folk chart. The next album was The Hangman's Beautiful Daughter which would prove their most commercial venture to date reaching both UK and US album charts. ISB began touring halls and festivals attracting large crowds. The group won the admiration of many folk and hippy luminaries of the time with many other artists recording their compositions. In 1968 they toured the US during which time they became involved with Scientology. In 1969 the now electric group expanded their line-up and performed at the Woodstock festival. ISB went on to release ten more albums, becoming one of the most popular, best-loved and influential UK groups of the hippy era. As musical tastes changed their popularity dwindled and the band disbanded in 1974. Riding the tide of nostalgia the original line-up reformed in 1997 toured and recorded before finally breaking up in 2006. Both Williamson and Heron enjoyed successful solo careers after ISB with Heron pursing rock and Williamson exploring his Celtic roots.